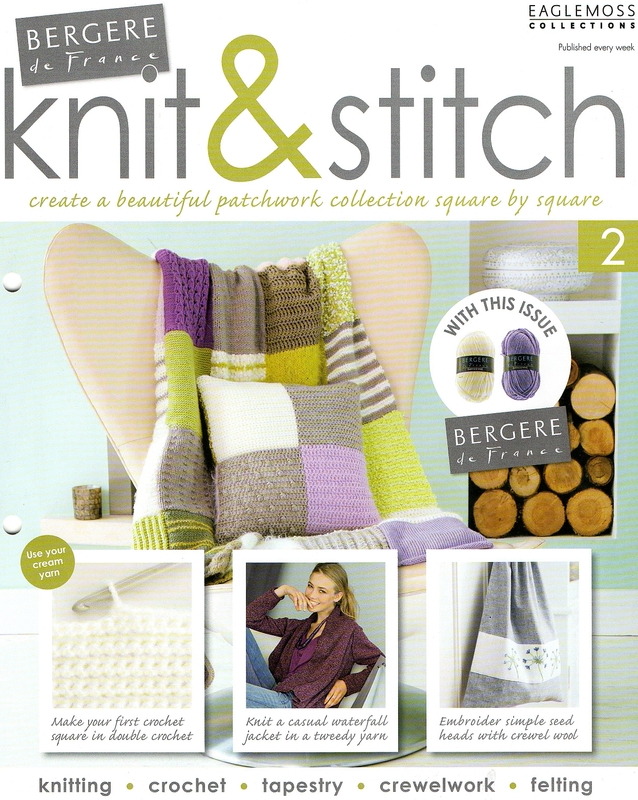 If you saw my post about issue 1 you'll already know I've been given the first two issues of Knit and Stitch to review for you. 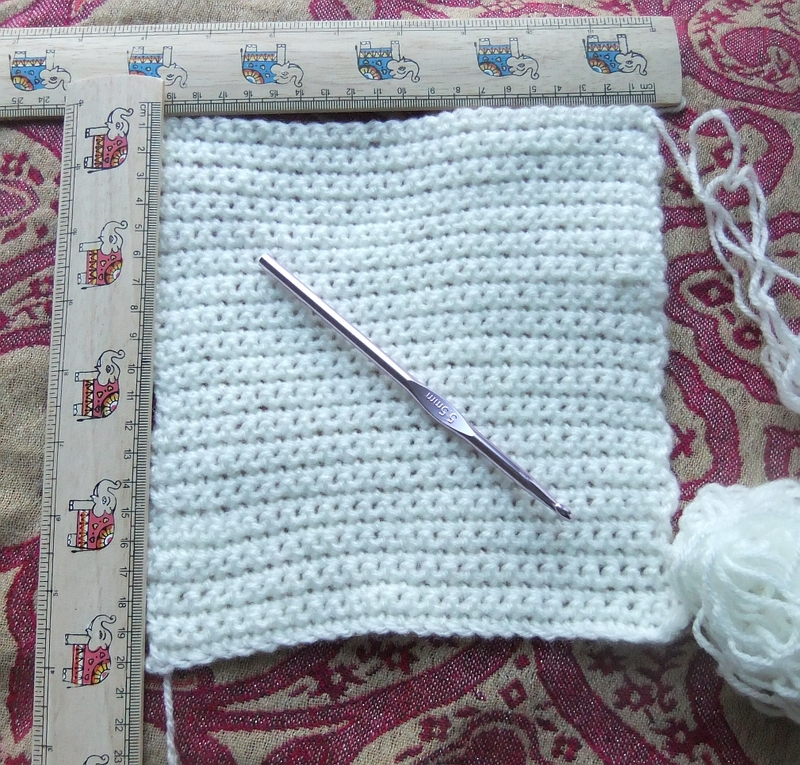 This time both balls of yarn are for the final patchworks, one knitted in stocking stitch, the other in double crochet. Also included are knitting patterns for a lovely waterfall jacket, a scarf, a man's sweater and a baby outfit, and a crewel work drawstring bag. I checked online price of the recommended yarn for the waterfall jacket and it'd come to around £60, way out of my budget, but not bad really for a fun project and a beautiful handmade garment. So, what do I think about the magazine? 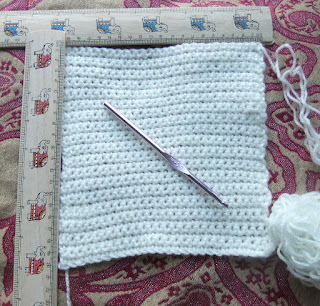 I've enjoyed having the chance to look it over, and I've enjoyed the challenge of crocheting from a pattern. Would I make any of the other patterns? No, very unlikely I'd say. Not because they're not good designs, but because my knitting time is already accounted for with filling my shops. I think it'd be a good series for someone starting out in their crafting life, who isn't sure just yet which craft they wish to pursue, to give a taster of several disciplines and allow the chance to develop your skills in a structured way in your own time. I've not been converted to a crocheter! Although I enjoyed making the bunny, all the time I was thinking that I could have knitted half a dozen in the time it took me - I'm definitely a knitter! Anyway - here he (or she) is. 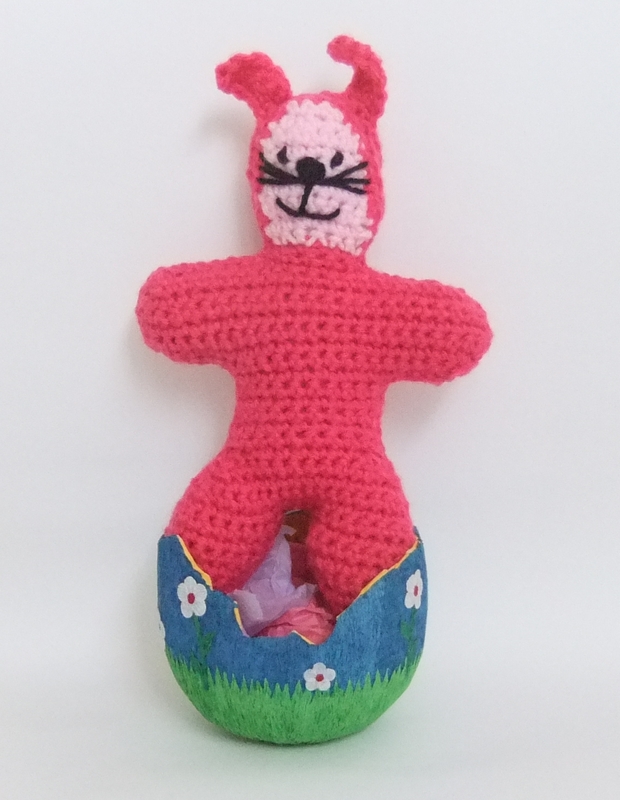 Come back tomorrow and I'll tell you what to do to be in with a chance of winning him in time for Easter! can I ask was the bunny in knit & stitch or another publication please?